In the United States, the current election season has brought forth a motley grab bag of presidential candidates. As this endurance race finally limps to its conclusion in November, the Republican Party will continue to see itself as the herald of modern American conservatism. But what is conservatism? 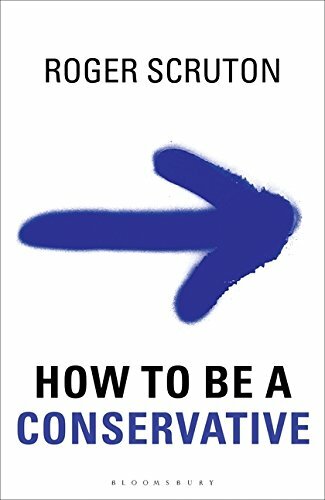 Noted philosopher Roger Scruton seeks to answer that question, from a perspective born of British intellectual and philosophical roots, in his new book How to Be a Conservative. Scruton begins How to Be a Conservative with a brief autobiography, recalling his father's Labour Party allegiance and his own disillusionment with the Marxist revolt in Paris in 1968. He took lessons from both these sources and sought to discover his own ideological and moral outlook. While his father was a trade unionist and he was a staunch Thatcherite, both father and son cherished the architecture of the English countryside and sought to preserve it for future generations. For Scruton, conservatism is about preserving traditional edifices (real and metaphorical) from the depredations of global capital, runaway development, the aesthetic ugliness of modernism, and the moral chaos of The Left. This is a philosophy of compromise and community and Christian civilization. But it is also a philosophy of environmental stewardship, aesthetic beauty, and intrinsic values. It seeks to preserve both the gains of the modern secular state and Europe's Judeo-Christian heritage. Unlike the United States, Great Britain has the established Church of England, an aristocracy, and a monarchy. Hence the author’s disdain for things like egalitarianism and international treaties. Scruton values tradition, but also espouses a kind of benevolent nationalism. For challenges like climate change, he sees solutions emanating from nation-level programs, since international treaties are difficult, if not impossible, to enforce. Throughout the book, Scruton examines liberalism, capitalism, socialism, multiculturalism, internationalism, environmentalism, and finally conservatism. His investigations seek to ferret out the truth of each -ism, but also explain the falseness arising from each. The book is fair-minded, reasoned, and even-handed. It is when things are taken too far that Scruton bares the claws of an erudite curmudgeon. Capitalism has numerous benefits for society, including allowing it the ability to freely chose what commodities to buy. But as a conservative, he stands against the onslaught of the libertarian free-for-all. At it worst, libertarianism knows the price of everything but values nothing. Runaway capital also creates situations like big box retail and banks too large to fail. Big box stores muscle out small business and are environmentally deleterious. Businesses too big to fail exploit the advantages of capitalism without suffering any of its potential risks. If a business can't fail, then it isn't really capitalism. For Scruton, it is something far worse than capitalism. The book is not without its faults, although that doesn't negate its overall value. The book shines when discussing philosophical or legal issues. It fails when a more in-depth historical analysis is required. “But it is part of the conservative spirit of the English not to look too closely at inherited things—to stand back from them, like Matthew Arnold, in the hope that they can go on without you.” This passage, coming near the end of the book, undermines everything he wrote before. Not looking too closely at things creates a moral complacency ripe for top-down authoritarianism. Everything, even the excesses of Stalin and Pol Pot, seems decent when not looking too closely at it. Conservatism (and any other -ism, for that matter) requires the bright light of critical inquiry, healthy skepticism, and lively debate. Some things may not be worth preserving, regardless of what tradition or authority underlies its foundation. How to Be a Conservative, while valuable as an explanation for this specific philosophical perspective, is undermined by a final section that reads like a sermon and is emotionally manipulative in its use of nostalgia.